“Viva Pinata” Bursts Into Stores: Don’t Beat ’em, Join ’em! Breakthrough Xbox 360 game “Viva Piñata” hits store shelves and creates new Piñata Islands around the world. REDMOND, Wash. — Nov. 9, 2006 — Horstachios, Fizzlybears, Fudgehogs, Mousemallows, Elephanillas and Pretztails are just a handful of the 60 species of wild piñata, coming to homes this holiday season in “Viva Piñata™,” the highly anticipated Xbox 360™ game for kids of all ages. Breaking new ground in Xbox 360 family entertainment, “Viva Piñata” was shipped to stores on Nov. 9, and it will continue to be rolled out to retailers throughout the U.S. and worldwide through Dec. 2. Created by world-renowned video game developer Rare Ltd. and Microsoft Game Studios exclusively for the Xbox 360 video game and entertainment system, the two-disc “Viva Piñata” Special Edition invites game-players to escape to Piñata Island, where wild-roaming, living piñata animals are looking for a home. People of all ages will enjoy the vibrant world where they can create and customize their own environment to attract, tame and nurture more than 60 species of wild piñata and make their experience uniquely their own. Packed with hundreds of personalization options, “Viva Piñata” lets people name their piñatas, choose accessories for them to wear, decide where to plant grass and flowers, and more. The colorful, fully customizable game invites people into a world with all kinds of possibilities. People first experienced the world of “Viva Piñata” in September, with the debut of the Saturday-morning computer-generated animation series produced by 4Kids Entertainment and Bardel Entertainment on 4Kids TV on FOX. The arrival of “Viva Piñata” for Xbox 360 establishes a crossover between the show and the game as people, young and old, tune in to the series to pick up hints and tricks to take back to the game. “Viva Piñata” gameplay will be extended through the Xbox Live® online entertainment network. Xbox Live Gold subscribers will be able to connect with friends, family or other players from around the globe to trade items from their piñata paradise — everything from the smallest plant to the largest piñata. Players with the free Xbox Live Silver membership also can trade items. And Xbox Live will offer accessories for download into the game to personalize piñata collections. 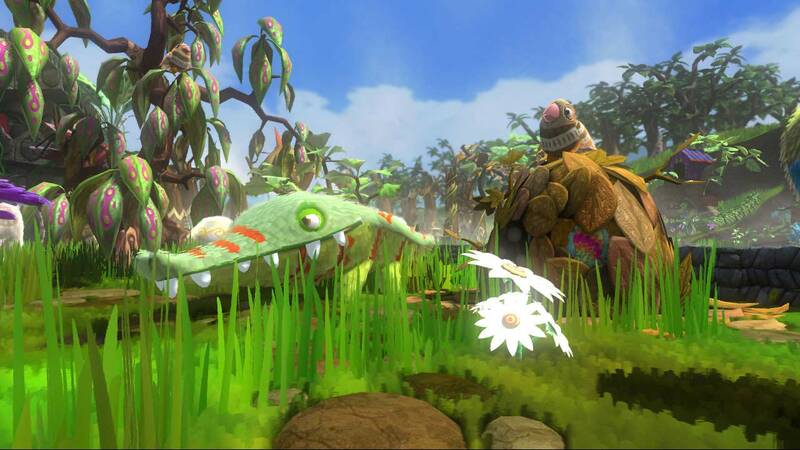 The genesis of the “Viva Piñata” franchise came from Rare Ltd., known for such all-age-friendly games as “Banjo-Kazooie®” and “Grabbed by the Ghoulies®.” Veteran developers of these games, as well as a new crop of talent, worked together to craft “Viva Piñata” into the fun-filled game available now on store shelves. Additional “Viva Piñata” products are expected to debut in fall 2007, with Playmates Toys Inc. and American Greetings Corp. already on board for toys and party goods. The latest information about “Viva Piñata” is available at http://www.vivapinata.com, the virtual island where gamers can find hints and tips for the Xbox 360 video game, get the latest updates on the 4Kids TV animated TV series, and score exclusive extras including games, activities, ring tones and avatars. “Viva Piñata” from Rare and Microsoft Game Studios is rated “E” for Everyone and is available exclusively on Xbox 360. The game started being shipped on Nov. 9, and will be on store shelves by the following week with an estimated retail price of $49.99. The two-disc “Viva Piñata” Special Edition Xbox 360 game, available for a limited time, will include a second disc with playable demos of LucasArts’ “LEGO Star Wars II: The Original Trilogy,” the arcade classic “Frogger” as well as family favorites “Cloning Clyde,” “Time Pilot” and “Marble Blast.” In addition, a full-length episode from the zany, anything-can-happen animated TV series “Viva Piñata” is also included. Xbox 360 is the most powerful video game and entertainment system, delivering the best games, the next generation of the premier Xbox Live online gaming network and unique digital entertainment experiences that revolve around gamers. Xbox 360 is expected to have a catalog of 160 high-definition games by the end of 2006 and to be available in nearly 40 countries by the end of 2007. More information can be found online at http://www.xbox.com/xbox360. Rare Ltd., one of the world’s leading video game developers, was founded in 1985 by Chris and Tim Stamper. Based in the United Kingdom, Rare is the mastermind behind some of the most popular video games available, including multimillion-dollar sellers “GoldenEye 007,” “Perfect Dark®,” “Banjo-Kazooie” and “Donkey Kong 64.” In November 2005, Rare released “Perfect Dark: Zero™” and “Kameo™: Elements of Power™” for Xbox 360, the second-generation video games console from Microsoft, and continues to entertain the world with the upcoming release of “Viva Piñata.” For further information visit www.rareware.com. Headquartered in New York City with an international office in London, 4Kids Entertainment, Inc. (NYSE: KDE), is a global provider of children’s entertainment and merchandise licensing. 4Kids, through its wholly owned subsidiaries, provides domestic and international merchandise licensing; product development; television, film, music and home video production and distribution; media planning and buying; and Web site development. For further information, please visit the Company’s Web site at www.4KidsEntertainment.com. 4Kids TV, 4Kids Entertainment’s four hours of children’s programming broadcast Saturday mornings on FOX, features popular animated series for both boys and girls including Magical DoReMi™, Winx Club™, Bratz®, Teenage Mutant Ninja Turtles®, Sonix X™ and G.I. Joe Sigma 6™. For more information, please visit www.4Kids.TV.